Where is the Gateway Arch? 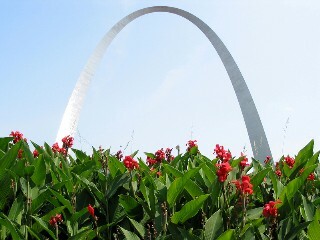 It is in Saint Louis, Missouri, near the Mississippi River. The Mississippi River is the second longest river in the United States. Who is the city of Saint Louis named after? It is named after Louis IX, a famous French king. Saint Louis used to belong to France. 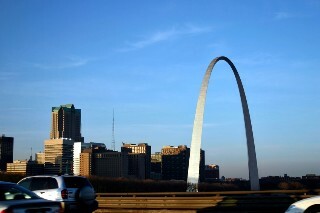 In this picture you can see both the Gateway Arch and the city of Saint Louis. Copyrights to the pictures and photos on this EL Civics website belong to individual photographers. We have purchased the rights to use them. Do not copy the pictures and photos on this website. Permission is granted to copy any of the worksheets for classroom or home use. You may link to any page of this educational website. Contact Christina Niven, ESL teacher, at christina@elcivics.com. Please send corrections, comments, and requests for new lessons. Copyright © Christina Niven, 2007.